We all know motherhood can be really challenging and rewarding all at the same time. Taking care of newborns is not that easy. But one thing is for certain, a mother wants the best and safest possible care for her child. All babies love taking a bath as it is somehow similar to their circumstance inside the womb. Baby bath time can be special bonding experience with your baby (and partner). Be sure to take advantage of this stage where your touch is a vital tool in making babies comfortable, loved and soothed. While giving babies a bath is no rocket science, it may take a while before you get the hang of it. Nevertheless, here are a few tips in making bath time a pleasant and fun experience for you and your baby. In bathing your baby, it is important to prepare all the things you need first. This includes the towel, warm water, flannel, and gentle, natural baby wash. Make sure they are within easy reach during actual bathing. You may also want to have someone to help you during your first few baths. Sponge baths are for babies with their umbilical stump still attached. Once the stump falls off on its own, you may do soak baths instead. Make sure to test the warm water on your wrist or with your elbow to check if it’s too hot or cold. Remember that your baby’s skin is sensitive. 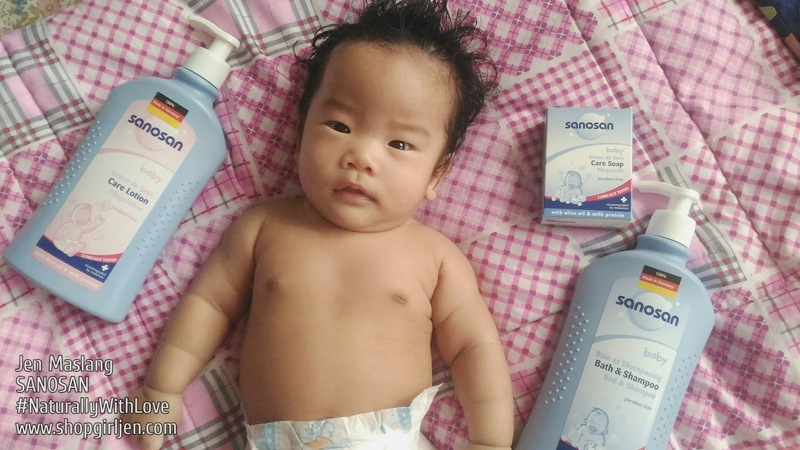 Gently clean your baby with Sanosan Baby Bath and Shampoo or Baby Care Soap, a gentle and natural baby wash designed for delicate baby skin. 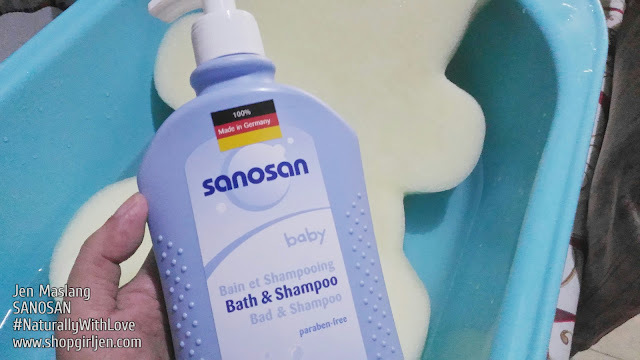 If you have toddlers or pre-schoolers, you can wash your children with Sanosan Natural Kids 2-in-1 Sensitive Shower and Shampoo from top to toe! For newborns, be sure to keep the umbilical stump dry for faster healing. Don’t forget to clean between the folds of the skin. After the sponge bath, delicately pat your baby dry. Remember that babies tend to get cold quickly so wrap up your baby in flannel or soft towel right after bathing. 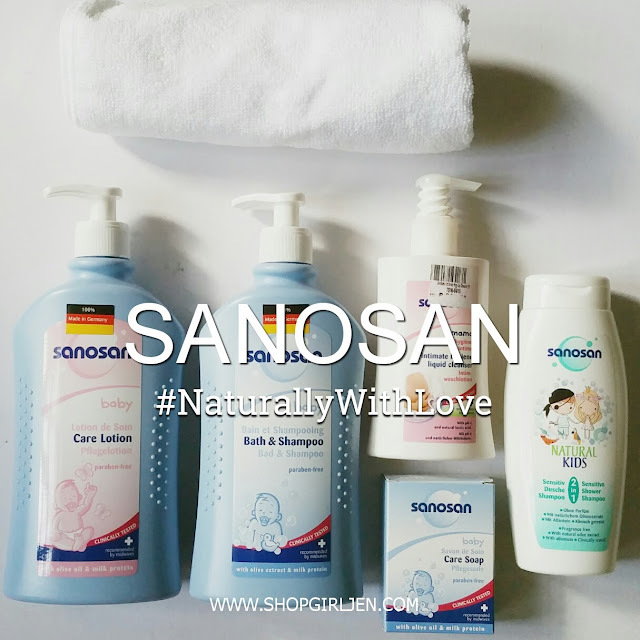 As the weather gets colder, it is suggested to moisturize and nourish your baby’s skin by gently rubbing it with Sanosan Baby Care Lotion. After which, enjoy cuddling and playing with your baby! Baby smell after bath time is truly the best! Sanosan Philippines wants to hear from you! 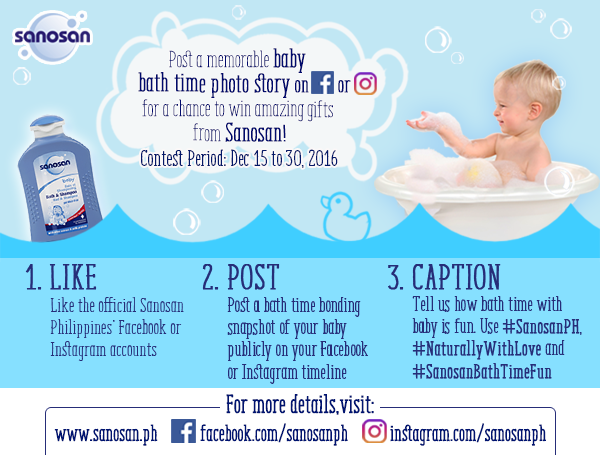 Share your treasured bath time photo stories on Facebook and Instagram with the hashtags #SanosanPH, #NaturallyWithLove and #SanosanBathTimeFun for a chance to be 1 of 20 winners of exclusive gift packs! 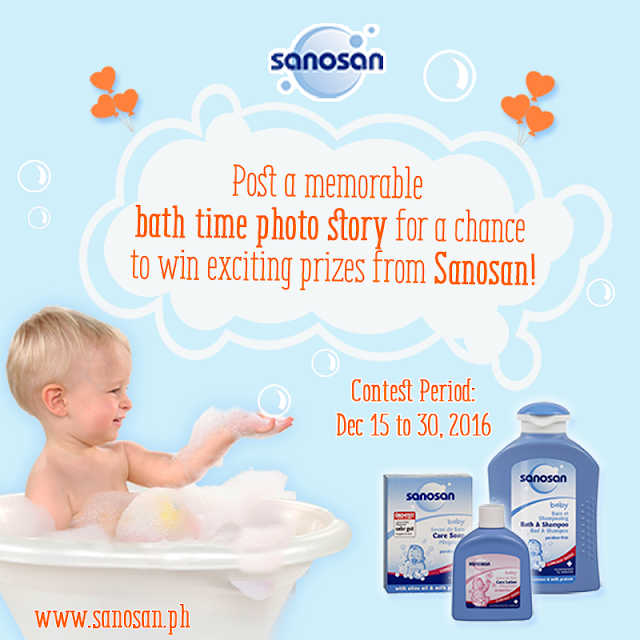 Check out www.sanosan.ph or http://bit.ly/BathPictureContest for more details. 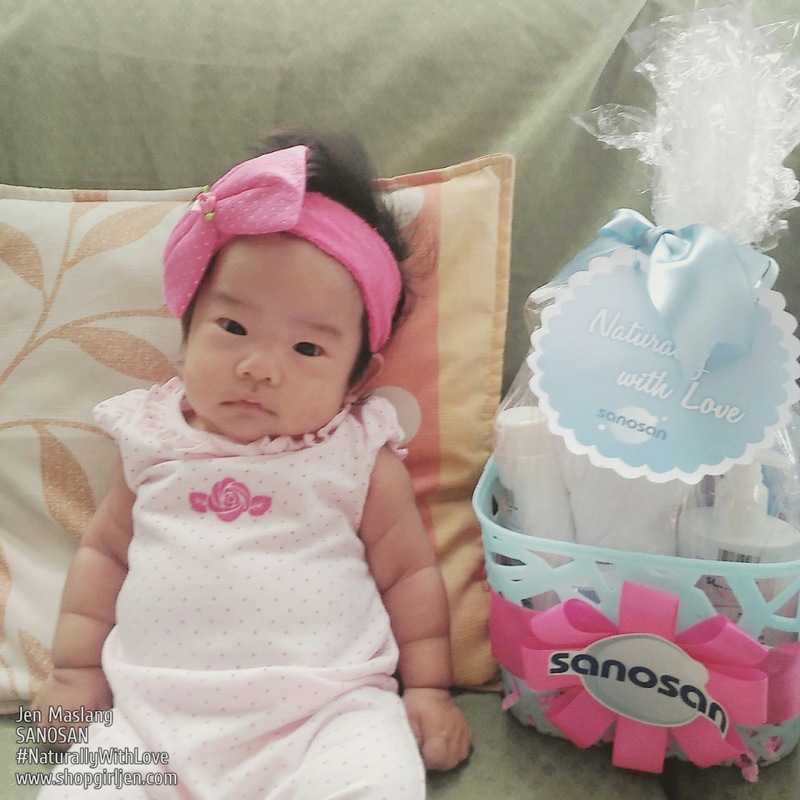 Thank you #SanosanPH for sending Isha your bath essential goodies. Stay tuned to Sanosan Philippines on Facebook and Instagram for more exciting announcement and updates. Sanosan is available at Lazada, Baby Company, Kids Company, and coming soon at Mercury Drug and other leading department stores nationwide.